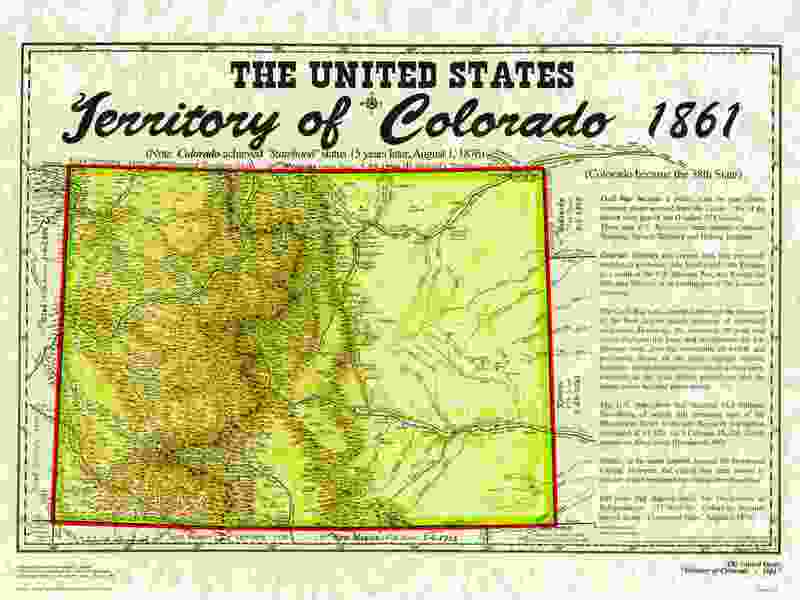 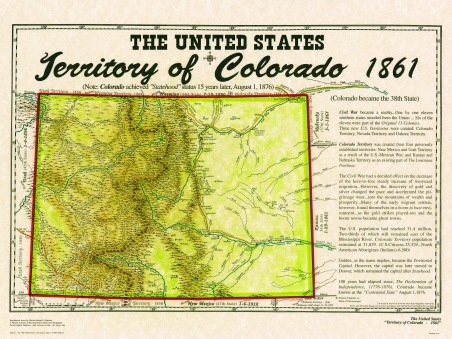 The United States Territory of Colorado 1861, became the 38th State in 1876, the U.S. Centennial year. 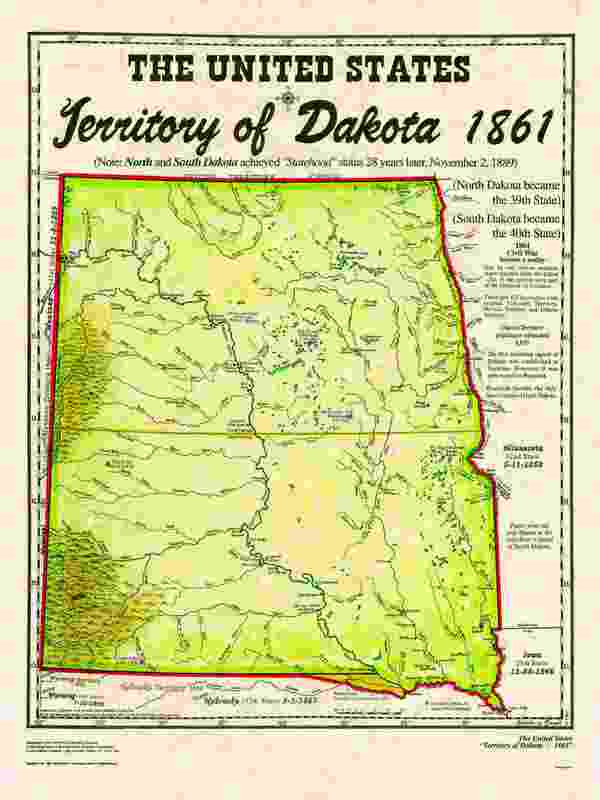 The United States Territory of Dakota 1861, became North Dakota and South Dakota, the 39th and 40th States in 1889. 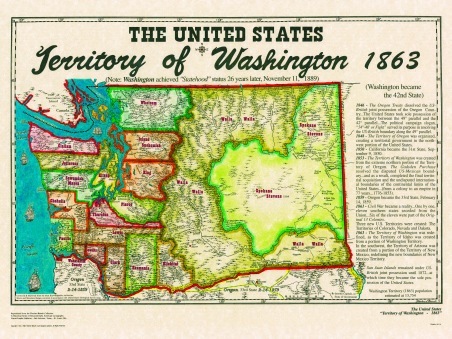 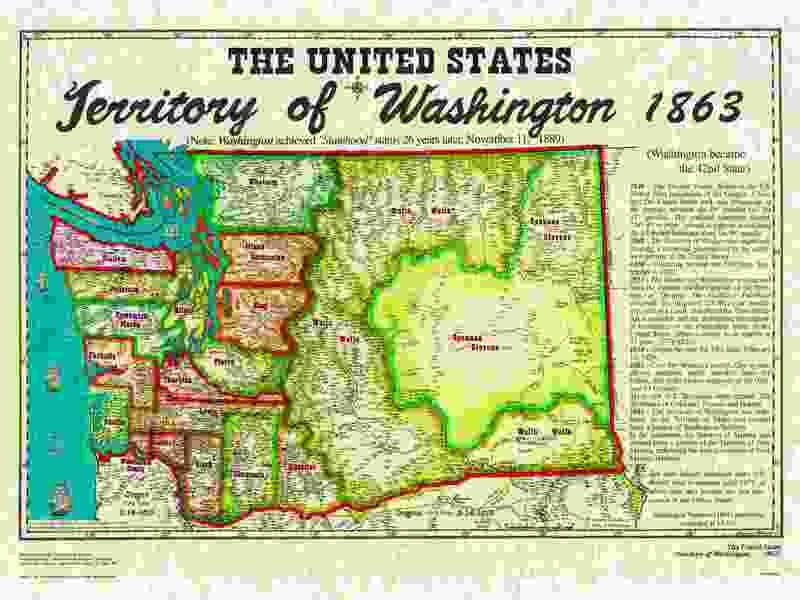 The United States Territory of Washington 1863, became the 42nd State in 1889. 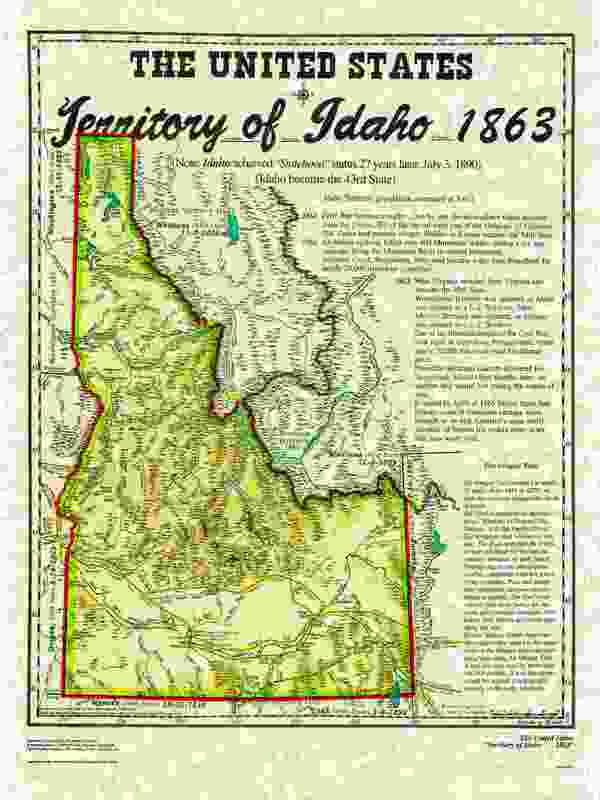 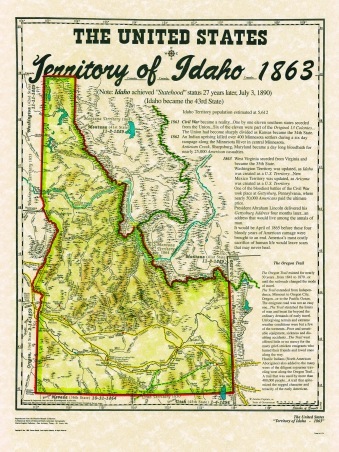 The United States Territory of Idaho 1863, became the 43rd States in 1890. 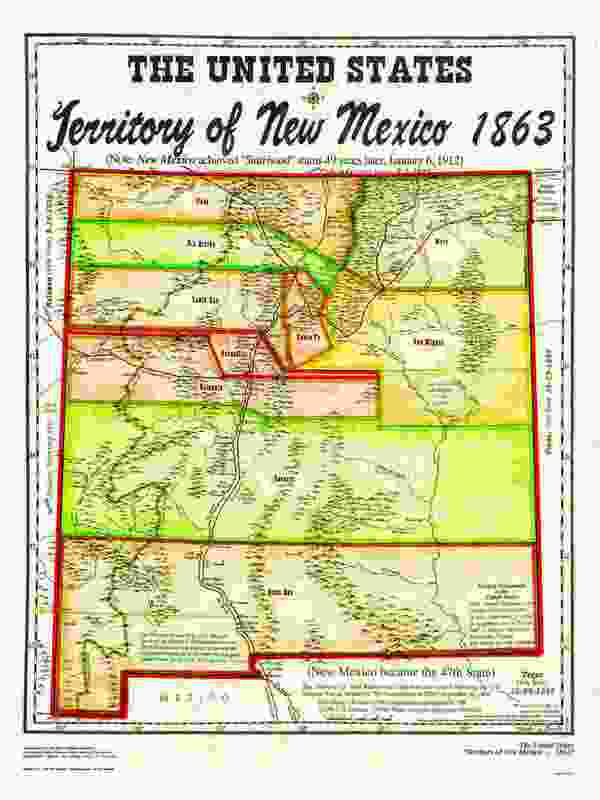 The United States Territory of New Mexico 1863, became the 47th State in 1912. 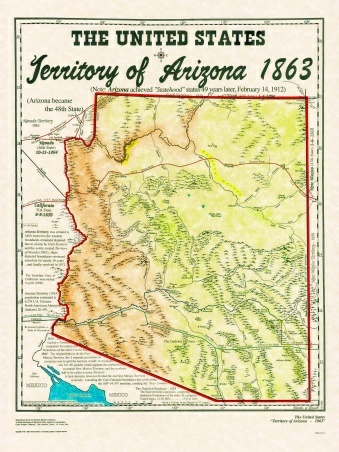 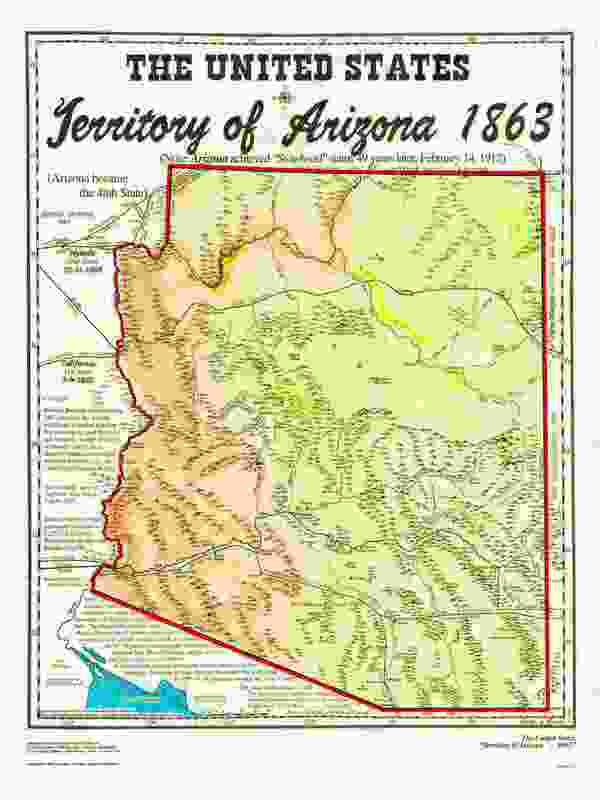 The United States Territory of Arizona 1863, became the 48th State in 1912. 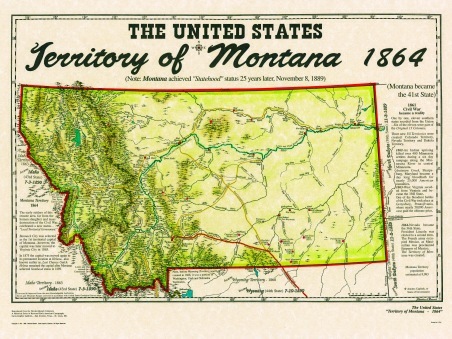 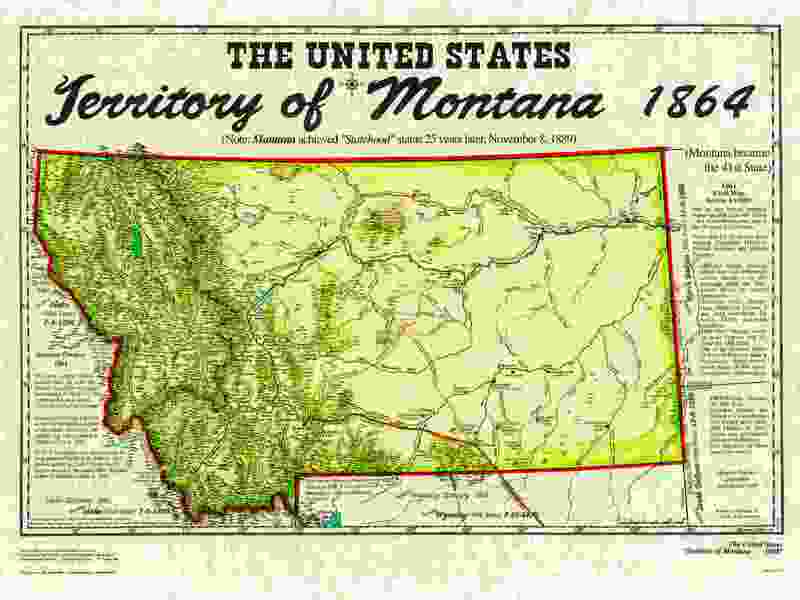 The United States Territory of Montana 1864, became the 41st State in 1889. 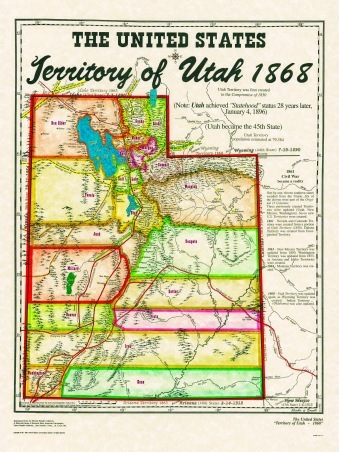 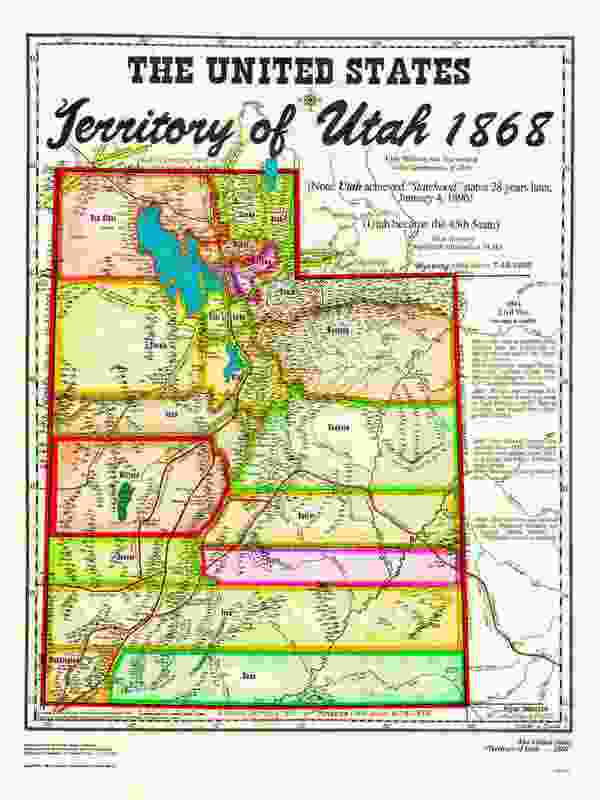 The United States Territory of Utah 1868, became the 45th State in 1896. 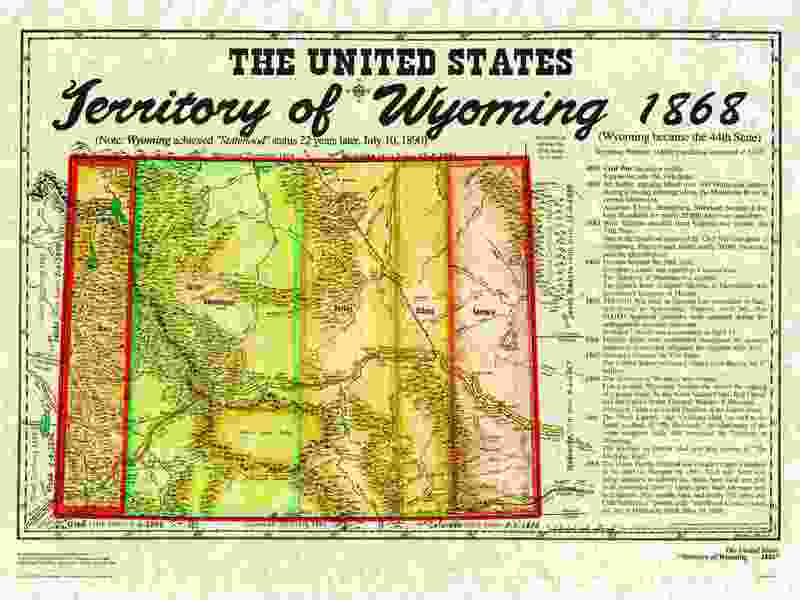 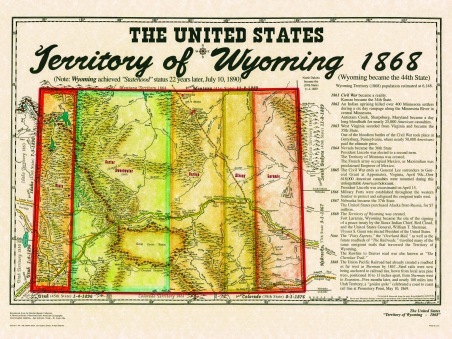 The United States Territory of Wyoming 1868, became the 44th State in 1890. 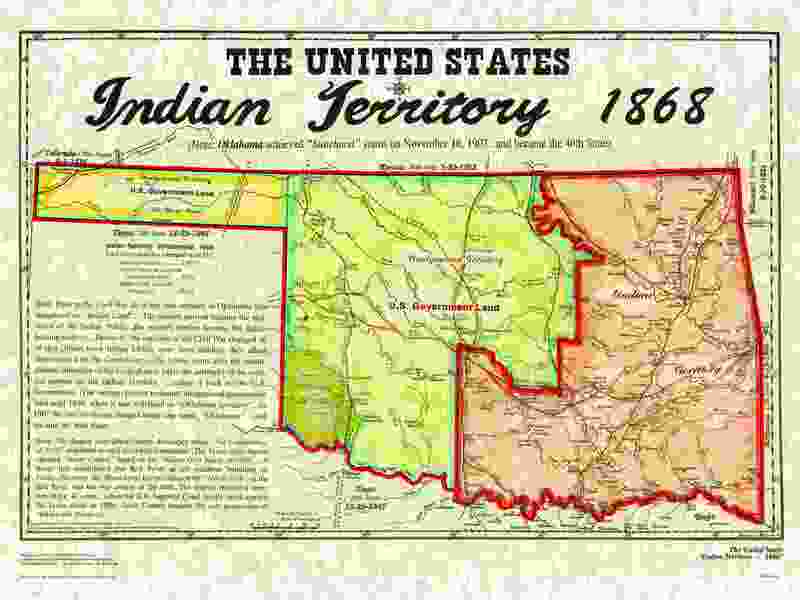 The United States Indian Territory 1868, became the 46th State in 1907. 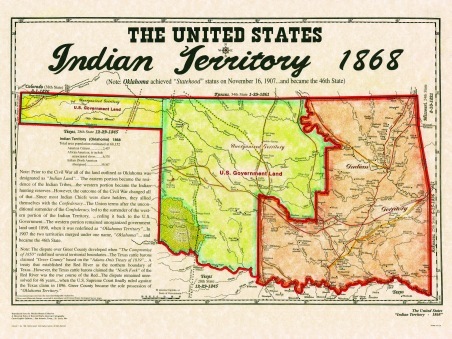 The State of Oklahoma.